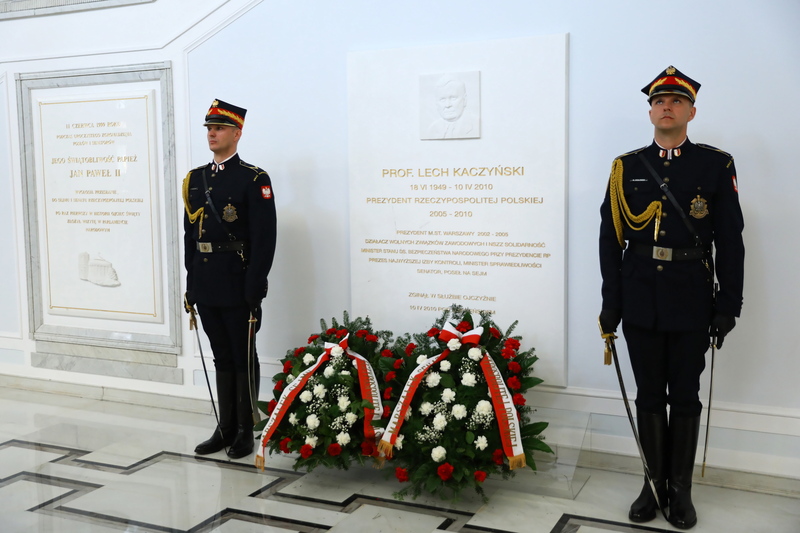 State ceremonies with the participation of President Andrzej Duda, Law and Justice leader Jarosław Kaczyński and Prime Minister Mateusz Morawiecki, among other officials, marked the 9th anniversary of the 2010 Smolensk air disaster. 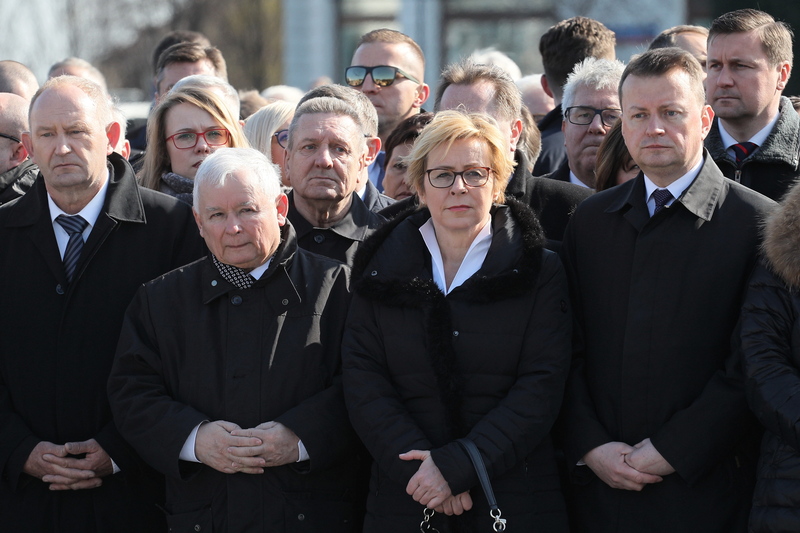 On April 10, 2010, President Lech Kaczynski, his wife, the last President of Poland in exile Ryszard Kaczorowski and dozens of senior government officials and military commanders were killed in the air disaster near Smolensk, western Russia. The delegation was on its way to Katyn to attend events marking the 70th anniversary of the 1940 Katyń Massacre, during which close to 22,000 Polish POWs were murdered at the hands of the Soviets. State ceremonies marking the anniversary, in Warsaw, included, among other observances, a Holy Mass, a reading of the names of the 96 victims in front of the Presidential Palace, and the laying of flowers at the monuments of President Lech Kaczyński and the Victims of the Smolensk 2010 Catastrophe, which are located on Piłsudski Square. 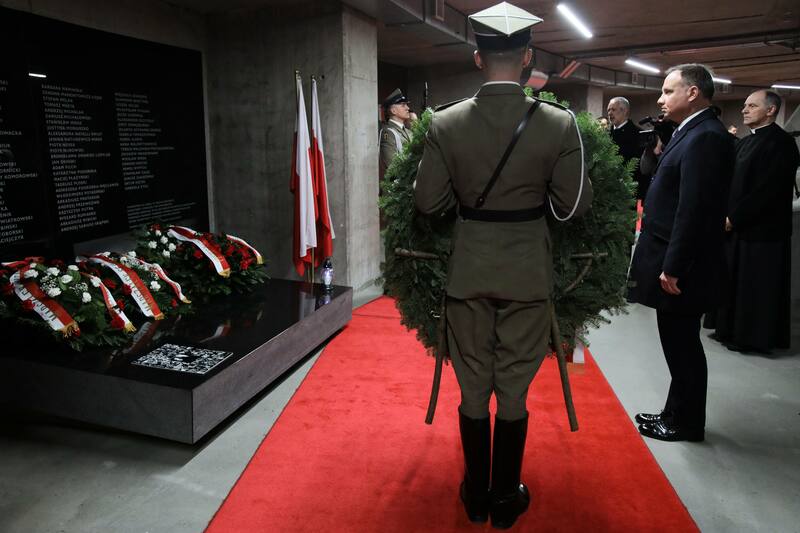 On Wednesday morning, President Andrzej Duda travelled to Kraków, southern Poland, to pay his respects at the tomb of President Lech Kaczyński and his wife Maria Kaczyńska at the city's historical Wawel Castle. Official state ceremonies also took place in Smoleńsk and Katyń in Russia.